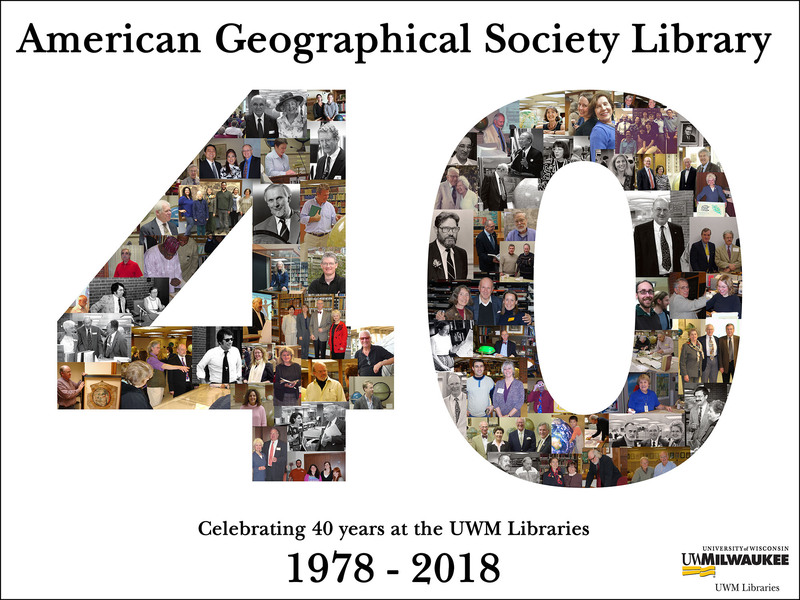 The American Geographical Society Library (AGSL), one of the premier collections of its kind in North America, contains over 1.3 million items supporting instruction, research and outreach at the University of Wisconsin-Milwaukee and around the world. 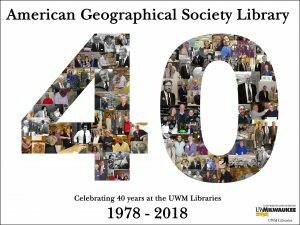 Formerly the library and map collection of the American Geographical Society (AGS) of New York, it was donated to the University of Wisconsin-Milwaukee Libraries in 1978 following a nationwide selection process by the AGS of New York. The AGSL was formed in the early 1850s to support research in and diffusion of geographical and statistical information and to maintain a collection of maps, charts and instruments. By 1870, this library was already recognized as the “largest and most valuable” of its type in the United States. Later, at the conclusion of World War I, the United States Government centered the preliminary work of its delegation to the Paris Peace Conference, President Wilson’s famous “Inquiry,” at the Society’s headquarters to utilize many of the Library’s unique resources. The Library has thrived at the University of Wisconsin-Milwaukee and, through the years, the collections have expanded and presently comprise well over one million items including maps, atlases, books, journals, pamphlets, photographs, slides, Landsat images, and digital spatial data. The curator welcomes inquiries about donations of maps and related materials, as long as such donations adhere to the library’s collections policies and enhance our current collections.